When growing flowers on a commercial scale it makes sense to use tools that make the harvesting process more efficient and less time consuming. Another thing the grower must be aware of when harvesting flowers that are destined for flower markets or florists, is the possibility of damaging the soft, delicate stems during the harvesting thereof. 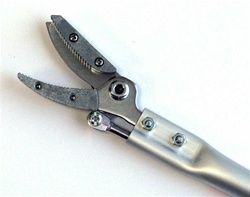 To reduce this damage to the stems we recommend that a grower uses a pruning tool that incorporates a "cut-and-hold" device on the cutting head. This device enables the user to hold onto the stem of the flower once it is cut, using only the hand that is holding the tool. The stem is then placed either into a picking bucket with water, or into the user's arms, all in one motion. Cape Agricultural Products offers 2 products to help commercial growers and keen gardeners harvest their flowers with the least damage possible. The Bahco P64-20 is a lightweight secateur for picking/harvesting roses and other flowers in professional, cut flower production. The symmetrically shaped handles, made from glass fibre reinforced polyamide, ensure that the shear is comfortable to use, eliminating fatigue and maximising productivity. A carbon steel blade, with wide, forged counter blade ensure a clean and easy cut. 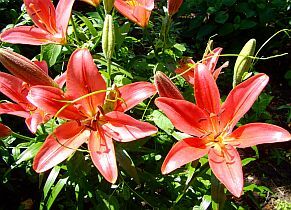 The wide counter blade supports the flower stems without squeezing them. The holder is removable, allowing you to do some light pruning. Spring, buffer and center bolt is replaceable. The A R S 160-0.6 cut and hold pruner is ideal for cutting roses and other plants where there is a possibility of getting injured by the thorns. The cutting head has an integrated "cut and hold" grip to hold flowers or branches that have been cut off, for easy removal from the plant. The 60cm long handles provide extra reach to get into the bushes but at the same time keep your hands away from thorns or delicate stems. ... and pull the entire stem out. While performing this action the user does not have to place his/hr hands at the base of a cluster of stems, an action that can sometimes result in damage to stems that are next to the one being harvested. The rotating arm enables the user to make cuts from any angle. Super lightweight design, but still incredibly strong.